Each league's award is voted on by members of the Baseball Writers Association of America, with one representative from each team. 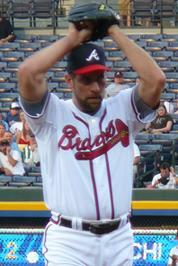 As of the 2010 season, each voter places a vote for first, second, third, fourth and fifth place among the pitchers of each league. The formula used to calculate the final scores is a weighted sum of the votes. 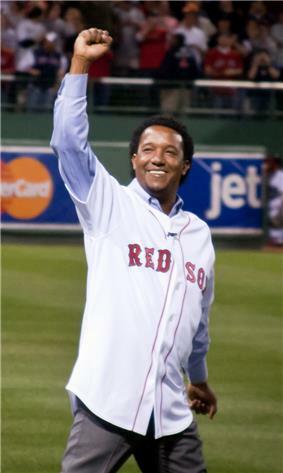 [A] The pitcher with the highest score in each league wins the award. If two pitchers receive the same number of votes, the award is shared. The current formula started in the 2010 season. Before that, dating back to 1970, writers voted for three pitchers, with the formula of 5 points for a first place vote, 3 for a second place vote and 1 for a third place vote. Prior to 1970, writers only voted for the best pitcher and used a formula of one point per vote. 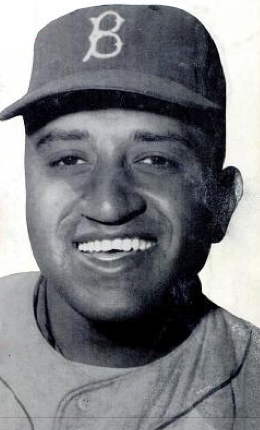 The first recipient of the Cy Young Award was Don Newcombe of the Dodgers, and the most recent winners are Clayton Kershaw, from the National League, and Corey Kluber, from the American League. 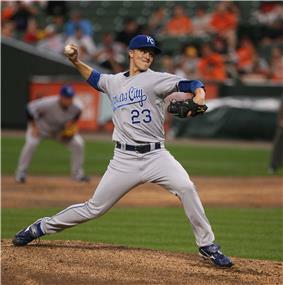 In 1957, Warren Spahn became the first left-handed pitcher to win the award. In 1963, Sandy Koufax became the first pitcher to win the award in a unanimous vote; two years later he became the first multiple winner. 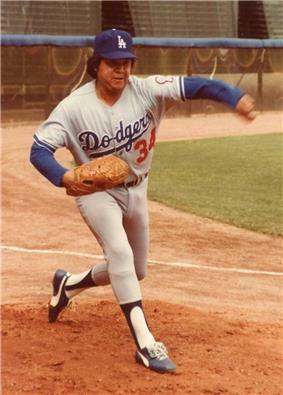 In 1974, Mike Marshall won the award, becoming the first relief pitcher to win the award. 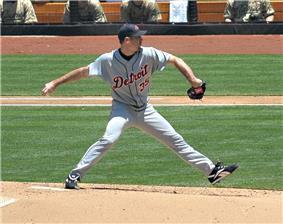 In 1978, Gaylord Perry (age 40) became the oldest pitcher to receive the award, only to have the record broken in 2004 by Roger Clemens (age 42). The youngest recipient was Dwight Gooden (age 20 in 1985). 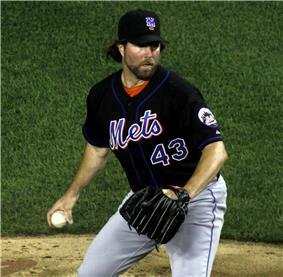 In 2012, R.A. Dickey became the first knuckleball pitcher to win. 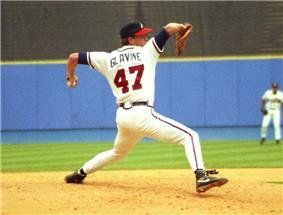 Steve Carlton in 1982 became the first pitcher to win more than three Cy Young Awards, while Greg Maddux in 1994 became the first to win at least three in a row (and received a fourth straight the following year), a feat later repeated by Randy Johnson. 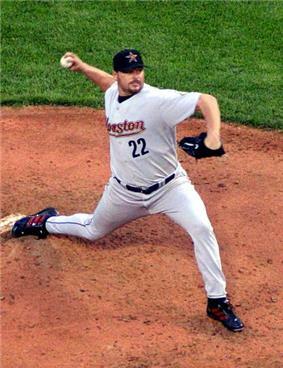 With 7, Roger Clemens, has the most Cy Young Awards of all time. 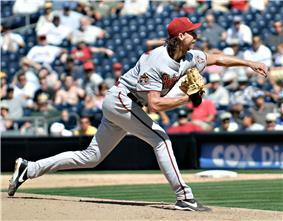 There have been 17 pitchers who have won the award multiple times. Roger Clemens currently holds the record for the most awards won, with seven. 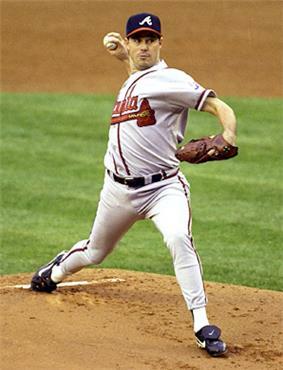 Greg Maddux (1992–1995) and Randy Johnson (1999–2002) share the record for the most consecutive awards won. 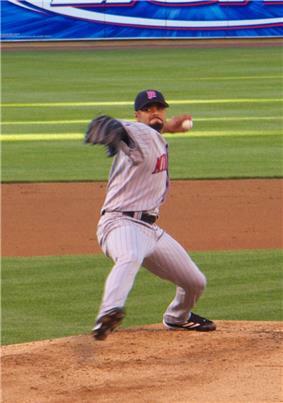 Clemens, Johnson, Pedro Martínez, Gaylord Perry, and Roy Halladay are the only pitchers to have won the award in both the American League and National League; Sandy Koufax is the only pitcher who won multiple awards during the period when only one award was presented for all of Major League Baseball. 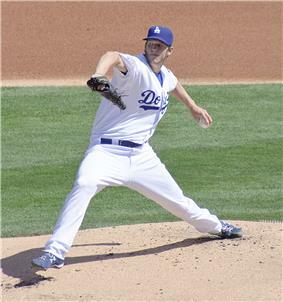 Roger Clemens was the youngest pitcher to win a second Cy Young Award, while Tim Lincecum is the youngest pitcher to do so in the National League and Clayton Kershaw is the youngest left-hander to do so. 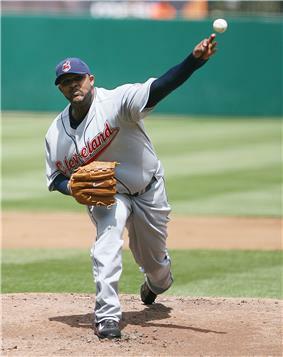 In the American League, six players have unanimously won the Cy Young award, for a total of nine wins. 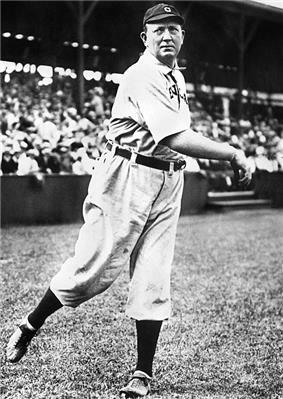 "Cy Young Award Winners (American League)". 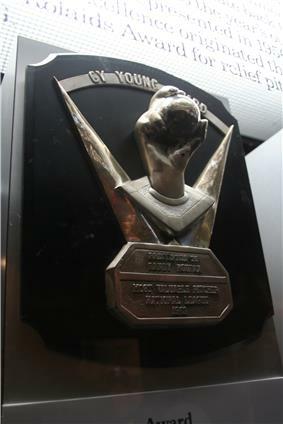 ^ "Cy Young Award Winners (American League)". 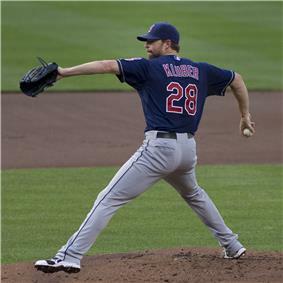 ^ "Cy Young Award voting results". Baseball Digest. 2004. Retrieved November 1, 2008. 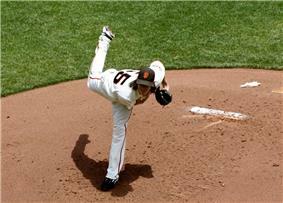 ^ "Cy Young Award winners".